Zebra Trade-in Program 2018. Got an old ID card printer? Need a brand new one? You can save up to $350*! 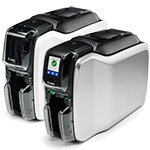 Trade-in your old ID card printer for a new Zebra Printer and save up to $350*! Got an old ID card printer? Need a brand new one? Don't miss this opportunity to benefit from the latest technology while saving big! Ship your old card printer for FREE to the Zebra Warehouse and take advantage of this offer today! We accept any brands: Zebra, Magicard, Fargo, Evolis, Datacard, Nisca, Eltron, Matica, Polaroid, NBS and CIM. Great reasons to trade-in your card printer! 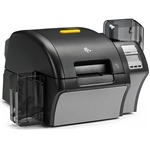 Trade-in any brand of desktop card printer, and receive significant savings on the latest generation of card printers. How to benefit from this outstanding offer? Call our ID card printer specialist to evaluate the rebate we can offer for your old printer. We will ask some questions about the printer model, year of purchase, current condition, serial number, included power supply, cables and other accessories and verify inclusion of printhead and circuit board. Request a trade-in quote with us at (800) 943-2341. Accept the quote and agree to the Terms and Conditions. Ship your printer to Zebra Warehouse with the PREPAID Label (Free Shipping). Receipt of your traded printer will be confirmed via email. This offer is not valid when combined with any other offer, promotion or special pricing. Printer must be in working condition, able to "power on" and have a printhead. Credit are offered at the sole discretion of the Zebra Trade-in Program. We accept trade-in from companies only, no individuals. We accept any brands of ID card printers. 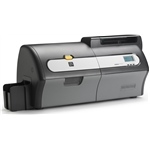 Credit vary between $50 and $350 depending on the printer model and conditions. 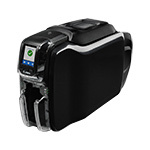 Credit can be applied to an order of a new ID card printer. One rebate per printer ordered. Trade-in are available only to customers located in continental USA, (excluding Alaska, Hawaii and terrirories). *Maximum discount, terms and conditions applies, Valid until December 31, 2018.